Obituary for Colonel Fredric Moore Mellor, USAF | Nardolillo Funeral Home, Inc. Colonel Fredric Moore Mellor, affectionately known as “Freddie” by family and friends will finally be coming home to his native Rhode Island where he will be laid to rest with full military honors after being “unaccounted for” (MIA/KIA) for the last 53 years. Col. Mellor was born on April 5, 1935 in Wakefield, RI to the late Mr. Daniel G. and Mrs. Jean S. (Moore) Mellor and was raised on Chestnut Avenue in Cranston along with his brother Daniel “Munro” and cousins Gail Zior and Sandra Elliott. He enlisted in the US Air Force in Cranston, Rhode Island as a radio operator but due to his love for airplanes and flying, he quickly applied and was accepted into pilot training. He was commissioned as a 2nd Lieutenant on August 29, 1956 and began his flying career. His assignments included Laughlin AFB, Texas, 62nd Fighter Interceptor Squadron at O’Hare International Airport in Chicago, Illinois, K. I. Sawyer AFB, Michigan, the 18th and 66th Tactical Reconnaissance Squadron, Laon Air Base, France, the 20th Tactical Reconnaissance Squadron, Shaw AFB, South Carolina, the Dominican Republic and finally Vietnam. He also graduated from the University of Nebraska in 1964 and was awarded a Bachelor’s Degree in Military Science. Col. Mellor met his bride to be, Theresia (Todt) Mellor while serving in Chicago and they were married in July of 1959. They had one child (Linda F. Mellor) before his deployment to Vietnam. In addition to his wife Theresia, daughter Linda and cousin Gail Zior of Cranston Col. Mellor is survived by his nieces Wynne Schumacher and Amanda O'Connell, nephew Scott Mellor and many cousins. In addition to his parents, Col Mellor is predeceased by his brother Daniel and cousin Sandra Elliott. On Aug. 13, 1965, Col Mellor, was assigned to the 20th Tactical Reconnaissance Squadron, and on temporary duty with the 15th Reconnaissance Task Force, was flying the lead RF-101C aircraft in a flight of two on a mission to conduct photo and visual reconnaissance of a suspected surface to-air missile site in Son La Province, in the then-Democratic Republic of Vietnam. During the flight, hostile ground fire damaged the aircraft, causing it to crash. Mellor survived his ejection and attempted to evade the enemy. Initial radio contact was established, however contact was lost, and, despite a two-day search, neither Mellor nor his aircraft were found. He was listed as missing in action on August 13, 1965. 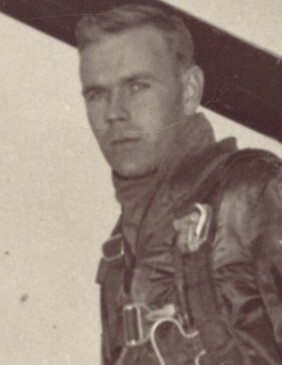 For Col. Mellor’s heroism during this mission he was awarded the Distinguished Flying Cross with Valor. Among many other awards are the Purple Heart Medal and Air Medal. Col. Mellor’s remains were recovered and a positive identification was made by the Armed Force Medical Examiner on July 13, 2018. It was also determined that Col. Mellor was Killed in Action (KIA) effective August 13, 1965. His remains will be escorted from the Defense POW/MIA Accounting Agency (DPAA) laboratory on Hickam AFB, Hawaii to the T. F. Green Airport in Providence for a Dignified Arrival on Wednesday September 26, 2018. A public visitation will be held on Thursday September 27, 2018 from 4:00 to 7:00pm at the Nardolillo Funeral Home, 1278 Park Avenue, Cranston, RI 02910. Funeral from the Nardolillo Funeral Home on Friday at 9:45am.